Professor Zehra Meral Özsoyoğlu is the recipient of the 2017 ACM SIGMOD Contributions Award for dedicated service to the database community, especially as editor in chief for ACM TODS and PVLDB, the VLDB Endowment and acting as PC chair for VLDB PC and PODS. Details: Zehra Meral Özsoyoğlu is currently Andrew R. Jennings Professor Emeritus of Computer Science at Case Western Reserve University, in Cleveland, Ohio, where she has been a professor of Computer Science since 1980. She has also served as department chair of Electrical Engineering and Computer Science Department. Meral Özsoyoğlu’s primary work and research interests are in the areas of query languages and query processing, data models, and index structures in databases, including scientific databases, bioinformatics and medical informatics. More recently, she has been working in querying databases with graph query templates. Meral Özsoyoğlu has served in a variety of leadership roles in the computer science research community, more specifically in database research, including the program chair of international conferences VLDB 2012, IEEE ICDE 2004, ACM PODS 1997 and SSDBM 1999. She also served in many conference program committees. 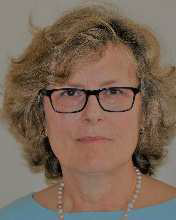 She has been the Editor-in-Chief of ACM Transactions of Database Systems 2007-2014, and the Editor-in-Chief of PVLDB, Vol. 5, 2011-2012. She has been a trustee of the VLDB Endowment 2005-2011, an Associate Editor of ACM TODS, 2000-2007, Vice Chair of ACM SIGMOD, 1997-2001, Associate Editor of IEEE TKDE journal, 1999-2002, and Editor of IEEE Data Engineering Bulletin. She is an ACM Fellow, recipient of the IBM Faculty Award, NSF Faculty Award for Women, a Distinguished Alumni Award from University of Alberta, Spotlight on Women Scholarship in Engineering award, and Faculty Distinguished Research Award, Case Western Reserve University (2013) and awards from IEEE and ACM for contributions to program committees of conferences. She received her BSc in Electrical Engineering, and MSc in Computer Science from the Middle East Technical University, Ankara, Turkey and PhD in Computer Science from the University of Alberta, Edmonton, Canada.